DAY OF THE LORD: Is fast approaching. The Bible ha much to say about the future day called The Day of the Lord. 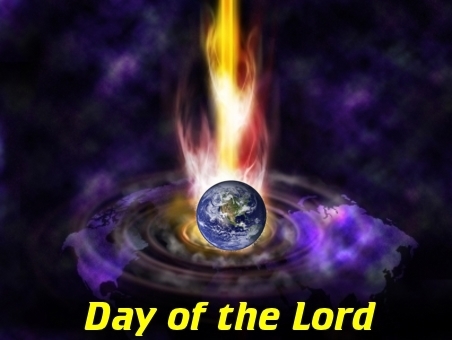 In Part One, it was determined the day of the Lord is a day of God’s vengeance. The day of the Lord begins with the Second Coming: the return of Jesus Christ to earth to fulfill his roles as king and judge according to the Scriptures. Revelation presents the clearest picture of the return of Jesus Christ. And he was clothed with a vesture dipped in blood: and his name is called The Word of God. And the armies which were in heaven followed him upon white horses, clothed in fine linen, white and clean. Though Revelation presents the clearest picture, many other details of the Second Coming are recorded throughout Scripture. There is no “silent, secret” coming of Jesus. ALL who dwell upon the earth will see Jesus when He returns. It will be a very visible, very noticed event. Jesus will first come back to earth on the Mount of Olives. Jesus departed to heaven from that same Mount of Olives. “And when he had spoken these things, while they beheld, he was taken up; and a cloud received him out of their sight. And while they looked stedfastly toward heaven as he went up, behold, two men stood by them in white apparel; Which also said, Ye men of Galilee, why stand ye gazing up into heaven? this same Jesus, which is taken up from you into heaven, shall so come in like manner as ye have seen him go into heaven. Jesus is coming back to the Mount of Olives to first judge, then, to rule. The valley of Jehoshaphat is between the Mount of Olives and the Temple Mount. 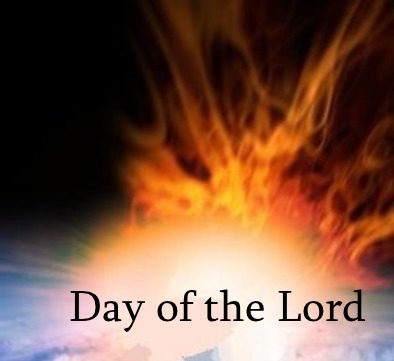 DAY OF THE LORD: God’s day of wrath, vengeance and recompense. All the tribes of the earth” shall howl and mourn because they never believed that Jesus would return. It’s the reason the mystery of iniquity has prospered over the last 2000 years: they have trafficked in sin and unbelief. And on the day of the Lord, all those whose coin has been unbelief, sin and mocking: their bill will finally come due. The day of the Lord is a day of judgment and that judgment by Jesus will decree destruction for the wicked. Of course they will howl and mourn. The day of the Lord is fast approaching. But as of yet, it is not too late.